Rehoboth Avenue almost had its own geyser early Saturday when one of the new fire hydrants was sheared off at the base. It was reported by an officer around 12:40 a.m. The culprit was believed to be an 18-wheeler tanker truck which made a U-turn in front of the Purple Parrot Restaurant & Bar in the second block of Rehoboth Avenue. That's supposedly when the truck cut short the center median's curb, drove through some shrubs and knocked over the fire hydrant. Police caught up with the tanker truck driver making his delivery at High's Dairy Store in the fourth block of Rehoboth Avenue. That's where an officer tried to link damage to the truck to the fire hydrant. 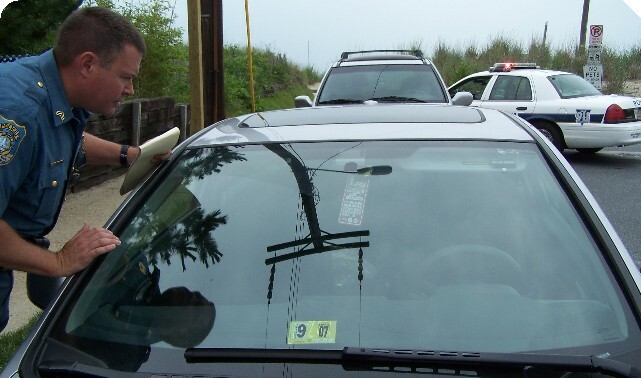 Just when it looked as if the parking reserved for Rehoboth Beach lifeguards on Stockley Street was almost fixed, another car got towed on Saturday. A week ago, the Parking Meter Department switched signs. The new sign features arrows pointing down toward each space, and the sign's post is the closest it has been in years to the center line between the spaces. 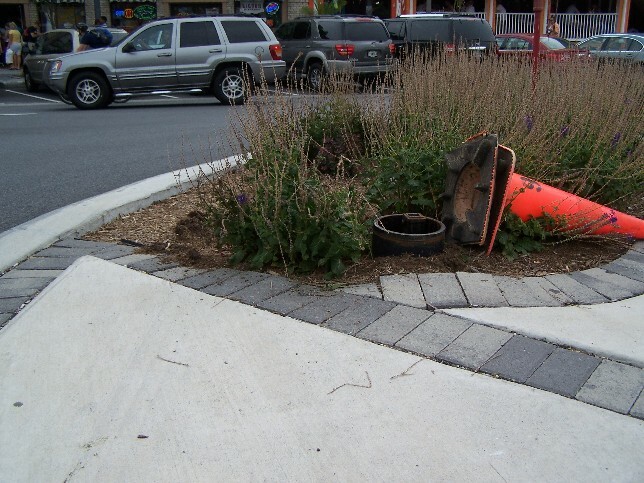 But once again, the unauthorized vehicle was parked in the west-most space which had seen at least eight tows last summer. Out of curiosity, Sgt. Scott O'Bier checks the Honda's parking permit, which was valid. Stockley Street was not the only lunch-time tow from a lifeguard space this past weekend. 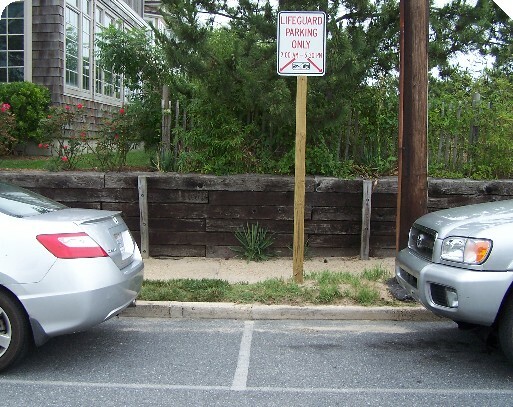 Coastal Towing removed a Toyota Camry Solara from the east-most lifeguard parking spot on Virginia Avenue minutes after Blue Hen Towing removed the Honda (shown above) from Stockley Street. Rehoboth Beach police arrested a woman Sunday after a lifeguard on the Baltimore Avenue stand (below) reported her for abusing a child. The suspect was placed into a patrol car while police interviewed witnesses. When the lifeguard radioed for police assistance around 1:40 p.m., she said she couldn't let the woman get away after the abuse they observed. A background check supposedly indicated that the suspect had a history of similar cases. 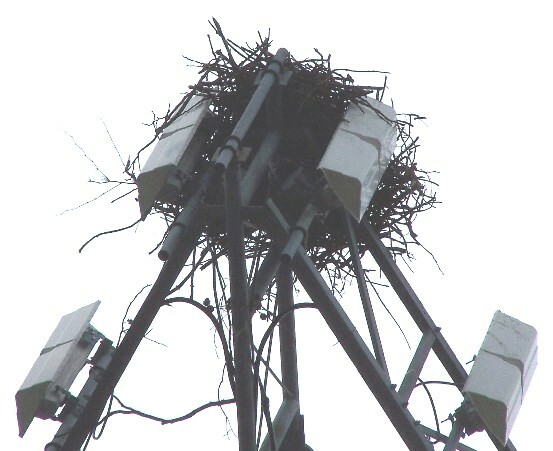 Here's a clever nest built in the antennas of the Crown Castle antenna tower in West Rehoboth.